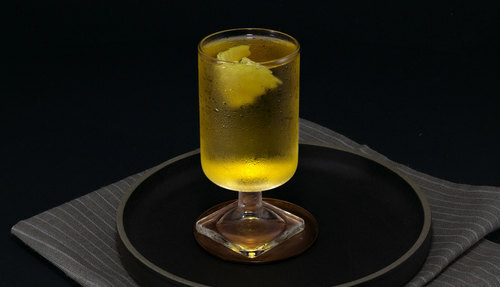 In a champagne or cocktail glass, combine apple brandy, simple syrup, and bitters. 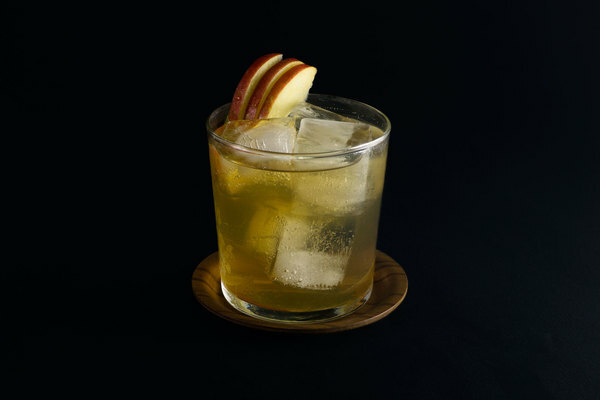 Hard cider is excellent in cocktails, but rarely does it take center stage. The Jersey, like its cousin the Champagne Cocktail, is all about the bubbly base, lightly touched up with a thoughtful combination of extras. Here, it's executed in a chilly winter palette, which makes the drink perfect for holiday gatherings and cold weather brunches. The nose sparkles with apple and a hint of bitters, followed by a sip that is light and crisp at first; and fruity and spicy on the finish. The drink is delicate, airy, and complex, with a beautiful golden hue that almost looks like Champagne. Like other drinks in this formula, the Jersey was originally made without a base spirit. We prefer it with a bit of apple brandy, much the same way that modern Champagne cocktails are muscled up with a bit of Cognac. Bitters are fun to play with in this drink. If you have apple bitters lying around, that should be the obvious choice. We’ve used homemade cedar bitters to great effect as well. When choosing a cider, opt for the driest kind you can find. Samuel Smith’s is our personal favorite. If a dry cider isn’t available, consider skipping the simple syrup to balance things out. We’ve requested three ounces of cider because we think it balances best, but if you prefer a proper “top off”, don’t let us stop you.